We don’t see Utility Stocks gain as much media coverage or trader attention as high-flying names like Apple, Amazon, PLUG, or Google, but that doesn’t mean we should ignore this sector completely. 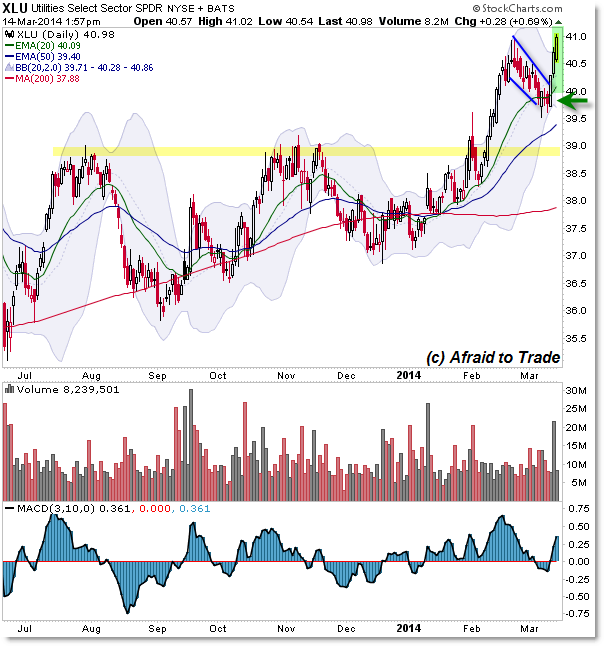 Utilities have had a strong three day rally despite a broader sell-off in the stock market. In fact, when almost all stocks were negative yesterday (March 13), 90% of Utility Stocks were positive on the session? In February the Utilities Sector (ETF symbol XLU) broke resistance at the $39.00 per share level into an uptrend continuation (breakout event) straight into $41.00 per share. After a stable retracement to the rising 20 day EMA ($40.00), price impulsed higher during the last three sessions in the context of a declining broader stock market. 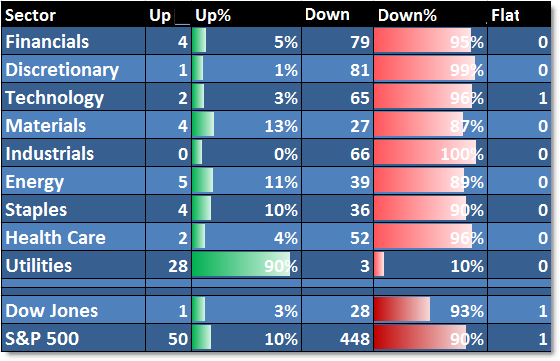 Of the utilities stocks in the S&P 500, we saw 90% to 97% (at one point) of stocks trading up on the session. In the afternoon of March 13th, almost all stocks in the S&P 500 were lower on the session with the exception of 28 of 31 stocks in the Utilities Sector. 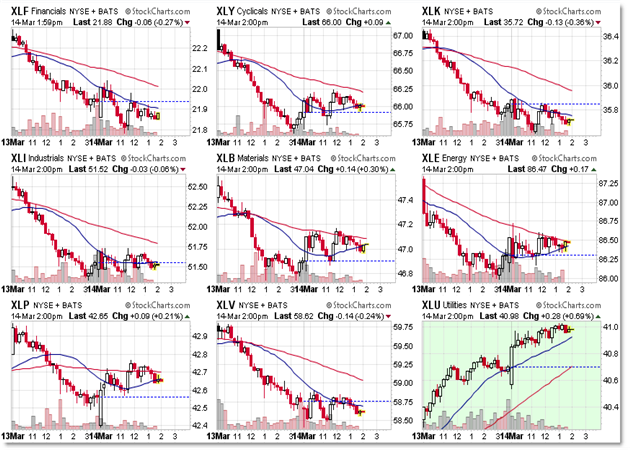 These types of relative strength numbers should call our attention to individual stocks or even the sector itself. We can see intraday money flow leaving all sectors (via intraday downtrends) while money is flowing into Utilities (bottom right – green highlight). Continue studying the Utilities Sector and leading stock candidates within this sector for “hidden opportunities” other traders may be missing.